Mark Neale, the man behind Faster and Fastest, is at it again with another motorcycle documentary titled Hitting The Apex. Want to learn about what it means to truly chase perfection in speed? This movie tells the story of the six men who have come closest, diving into both the private and public lives of MotoGP’s best. The film tells the story of Jorge Lorenzo, Marc Marquez, Dani Pedrosa, Valentino Rossi, Marco Simoncelli, and Casey Stoner. Brad Pitt, who Neale says was instrumental in getting the film made, acts as both producer and narrator and his relaxed drawl balances the crazy crash and pass footage well. The film finds its release at an interesting point in motorcycle racing, as many people felt we were about to watch Rossi fade into obscurity as Marquez took his place as king of the hill. 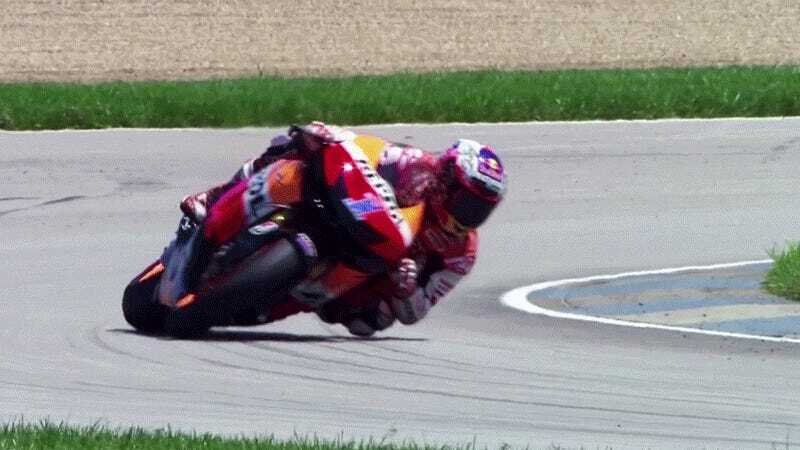 Instead, we’ve seen Marc struggle while Rossi proves he has more than just a little left in the tank. The inclusion of Simoncelli, who died tragically in a crash with Rossi and Colin Edwards at the Malaysian round of the Grand Prix in 2011, adds not only to the context of the story but the gravitas it carries. Stoner’s inclusion is also interesting, as he has famously shunned the spotlight even before his retirement in 2012. I was a fan of Neale’s past films and expect Hitting The Apex will be no different. The film is set for release in theaters on September 2nd, before hitting DVD and digital on September 7th. If I’m able to catch a showing on opening week, I’ll post it to our twitter account and you can come join.